• The percentage of homes under contract in 7 days or less and selling at or above asking price remained steady compared to the previous month. The data could signal a decline in activity from buyers who are frustrated by the competition and losing out on bidding wars. 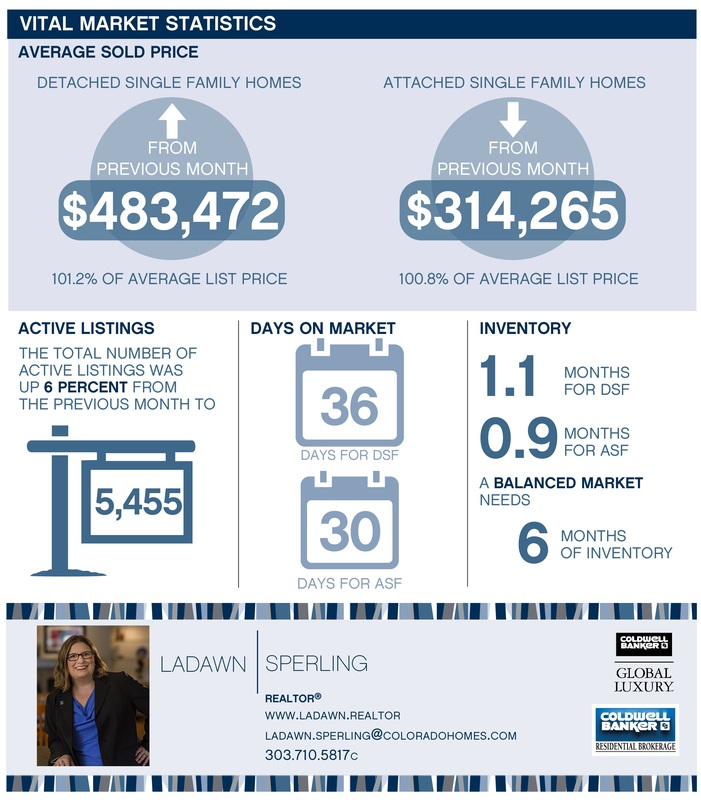 With the number of new listings typically hitting their peak in June, it is important for those buyers who are still motivated to take advantage of the slower holiday weekends and to schedule showings as soon as homes go on the market. While this is still a strong seller’s market, homes on the market for more than three weekends are experiencing average price reductions of between 5 to 6 percent, highlighting the importance for sellers to price the home right. Based on information from REColorado®, Inc. provided by Land Title for the period of May 1, 2017, through May 31, 2017, for Adams, Arapahoe, Broomfield, Denver, Douglas, Elbert and Jefferson Counties. Note: This representation is based in whole or in part on content supplied by REColorado®, Inc. REColorado®, Inc. does not guarantee nor is in any way responsible for its accuracy. Content maintained by REColorado®, Inc. may not reflect all real estate activity in the market.